Japanese history, like most history, is a bit of a sausage fest. You'll have no problem finding records of famous and infamous dudes. But ladies? Sorry. Historymen had too many men to write about. That's why we started the Badass Women in Japanese History series. 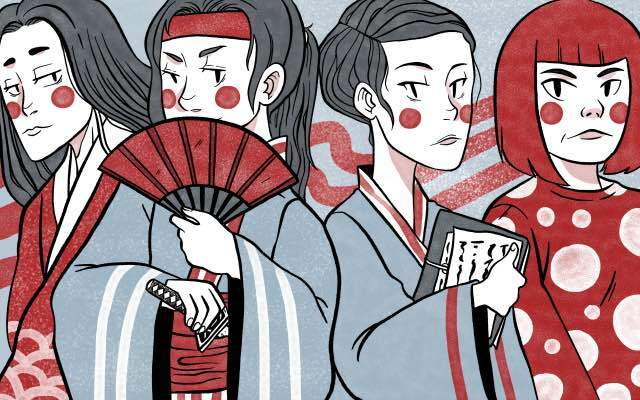 We wanted to highlight the amazing lives and sheer badassery of historical Japanese women. Learn about the sword-swinging, warrior-beheading exploits of Tomoe Gozen, the 12th century onna musha 女武者（おんなむしゃ）. Follow the pen of Murasaki Shikibu, the world's first novelist and Heian noble extraordinaire. Explore the mysteries of Queen Himiko, the first ruler of Japan and first historically recorded Japanese person ever. We're always adding to this series so check back often. We hope to bring the exploits of amazing Japanese women to light.